Jesse Foss takes over the reigns as head coach of the SDSU men’s lacrosse team after 14 years at La Costa Canyon HS in Carlsbad, CA. In his six years as head coach, Coach Foss won three CIF Championships and appeared in two others while winning six straight league titles. He leaves with a record of 103-31 and ranked #13 in the country in 2012. 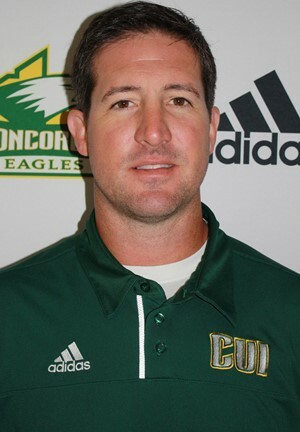 Prior to being head coach he served as the assistant coach at LCC winning an additional 4 CIF Championships, 7 league titles, and 2 Top 25 national rankings. Coach Foss was honored three separate times as a CIF Coach of the Year in 2006 (assistant coach), 2012, and 2014. Coach Foss played collegiately at Stony Brook University, where he was a two year starter at attack & midfield. He started his collegiate career at Nassau Community College where he was a two year starter at attack while winning the NJCAA National Championship in 1997. Originally from Levittown, NY, Foss now resides in Carlsbad, CA with his wife Jennifer, and son Jayden.